Every once in awhile, a snake is exposed for what he is and gets what he deserves. The only thing that could have been better than this is if this story had not broken on the same day that Roger Clemens misremembered his testimony in front of Congress so that Kelvin Sampson could have had an extra day a national media fury. I have no love for Indiana, but I do have faith that the administration there will take the same swift action in this instance as it did with Bobby Knight a few years ago. Hopefully by the end of this week, I won’t need to write about Satan’s Spawn (at least when it comes to Big Ten basketball) ever again. 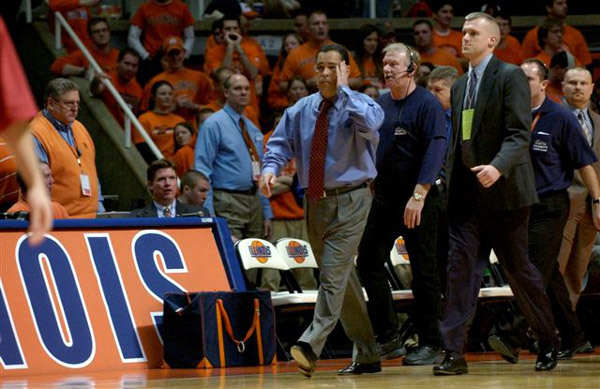 Are the Illini of 2008 set up to make a similar turnaround? Unfortunately, this team hasn’t shown me that it would be set up to be competitive to be even a bubble team for the NCAA Tournament in 2009, much less having any greater success. Back in November, when the Illini played well in the Maui Classic and hung in with Duke, I thought that this would at least be an NCAA Tournament team this year. 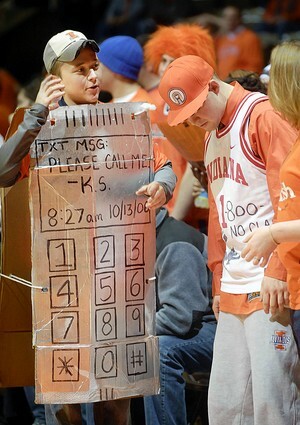 However, they’ve seemed to regress ever since then (or maybe opposing teams just figured out that a zone defense plus a Hack-a-Pruitt technique would essentially shut down 90% of the Illini scoring), with Demetri McCamey being the one main bright spot for the future. The incoming recruiting classes look more fruitful in two years, but that seems like an eternity for Illinois fans who thought that 2005 would place the program into a permanent place in the upper echelon of college basketball. (Maybe Suppo Sanni, one of my fellow Homewood-Flossmoor Vikings that is one of Ron Zook’s top-rated football recruits, can help out Bruce Weber, as well, since he’s got my old high school basketball team at #1 in the state rankings. Hopefully, that can provide some relief to the H-F community, which has had a tough couple of weeks.) It’s ironic that while Satan’s Spawn’s pilfering of Eric Gordon pretty much single-handedly caused this horrible season (considering how close Illinois played Indiana in their two season meetings, you can see that Gordon is the difference between an awful team that will be sitting at home in March and a club that’s a legitimate Final Four contender), the two most enjoyable moments for Illini fans this season have been the spectacular and relentless booing and heckling of Satan’s Spawn and Eric Gordon in Champaign for over two straight hours when Indiana finally came to visit (a heartbreaking game in the end for the Illini, but the atmosphere in Assembly Hall that evening was as if the soul of Philly’s Veterans Stadium was resurrected into a basketball arena) and the subsequent smackdown of Satan’s Spawn by the NCAA. I guess you have to take the positives where you can get them.